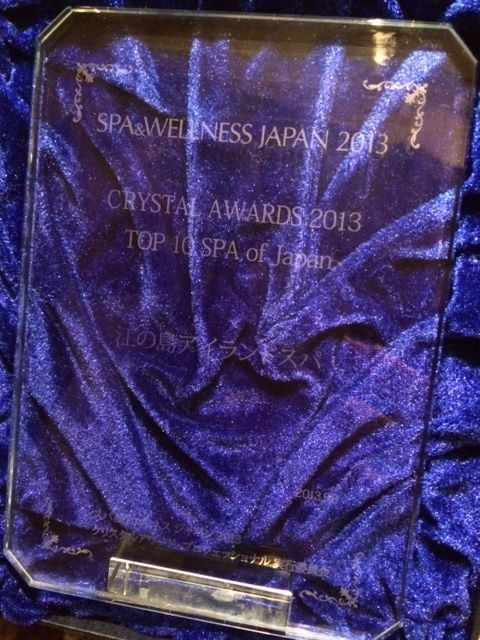 Enospa given Crystal Award – Jarman International K.K. SpaFinder is an all inclusive site for information on spas and spa products across the world. They hold an annual ranking of the 10 best all-around spas in a certain country. And Japan was the focus of the contest for the years 2013. Based on location, quality of services, and appeal as a relaxing destination for both tourists and locals, the award is given to 10 different spas each year. This year, Enoshima island Spa was thrilled to be nominated, and it really shows that their hard work has paid off, and Enospa is getting the recognition it deserves.